Product Hunt’s first employee Erik Torenberg is ready to fund fresh new startups, not just reveal them to the world. Today is the soft launch of Village Global, a seed and pre-seed early stage venture capital fund looking to connect entrepreneurs to cash as well as all-star mentors. Facebook’s Mark Zuckerberg, Amazon’s Jeff Bezos, LinkedIn’s Reid Hoffman, Google’s Eric Schmidt, Yahoo’s Marissa Mayer, and Microsoft’s Bill Gates are amongst the LPs putting money and advisorship into Village Global. Torenberg declined to comment on this article, as VCs can’t legally discuss ongoing fundraising due to SEC rules. While the firm doesn’t list how big its fund plans to be, TechCrunch has discovered an SEC regulatory filing from June showing Village Global was targeting a $50 million fundraise. It’s unclear how much exactly it will pull in, though, as fundraising is ongoing . 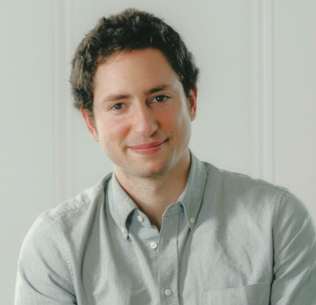 These tech titans may trust Village Global because of Torenberg’s grass-roots affiliation with that next generation through his work at Product Hunt. He could help CEOs far-removed from the startup trenches glean learnings about budding tech trends and business practices from Village Global’s portfolio founders. The Village Global team also includes Ben Casnocha, who co-authored entrepreneurship strategy book The Startup Of You with Hoffman before becoming his chief of staff at LinkedIn. Other partners at Village Global include former IAC biz dev exec, 500 Startups head of investor relations, and Queensbridge partner Adam Corey; Chegg chief business officer and Harvard Business School entrepreneur-in-residence Anne Dwane; and former SuccessFactors VP and Canaan partner Ross Fubini. Focusing on very early stage startups could allow Village Global to make an impact without raising an exceptionally huge fund, or offering expansive service arms like Andreessen Horowitz or GV (formerly Google Ventures) do in recruiting, design, and other areas. Instead, Village Global could dangle access to its network of famous advisors, roping in founders with its star power. “Networks are known for speed and adaptability. These are good attributes for founders” Village Global writes. The firm says it’s geography and vertical agnostic, and will do follow-on rounds, giving it plenty of flexibility to find who’s building the future. Village Global’s opportunity lies in keeping its ear to the street and sniffing out high potential founders and startups before more established funds and angel investors do. At this moment, a small investment can equal a substantial equity stake. Rather than having all deal flow and decision making go through its small core team, Village Global will develop a wider scouting network of the kind of people founders already look to for advice and first checks. These “network leaders” include YouTube’s VR lead Erin Teague, Quora vice president Sarah Smith, Dropbox’s first employee Aston Motes, and board director for Target, Hilton and [TechCrunch parent company] Verizon Mel Healey. It’s a model that acknowledges that startup returns are binary — they either become failures or huge successes with little in between that’s meaningful to investors. By being generous with how it distributes rights to the returns on its investments to scouts, Village Global could gain access to these breakout deals that can pay back an entire fund. With so many post-exit founders and wealthy individuals flooding into the early-stage investment field, competition is fierce. But if Village Global can cast a wide net, and reel in future unicorns with the promise of being mentored by tech heroes, it could see a strong community of startups cluster around it.